We have various sized mirror balls available for hire. Each mirror ball comes in a flight case for safekeeping plus a safety chain to hang it from your desired point. If you require a mains-powered or battery-powered motor please let us know. We can also supply various colour spotlights to project onto the mirror ball to give that dazzling effect. 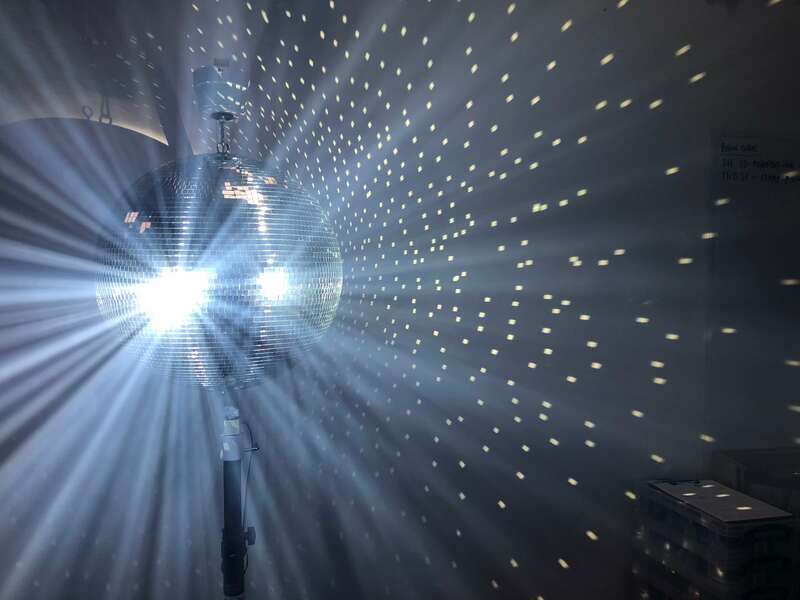 We would advise hire of a haze or smoke machine with a mirrorball to give the best results. please contact us as we can offer discounts on this package! We can offer hire of various sized mirror balls. Each mirror ball comes in a flightless for safekeeping plus a safety chain to hang it from your desired point. If you require a electric or battery powered motor please let us know. 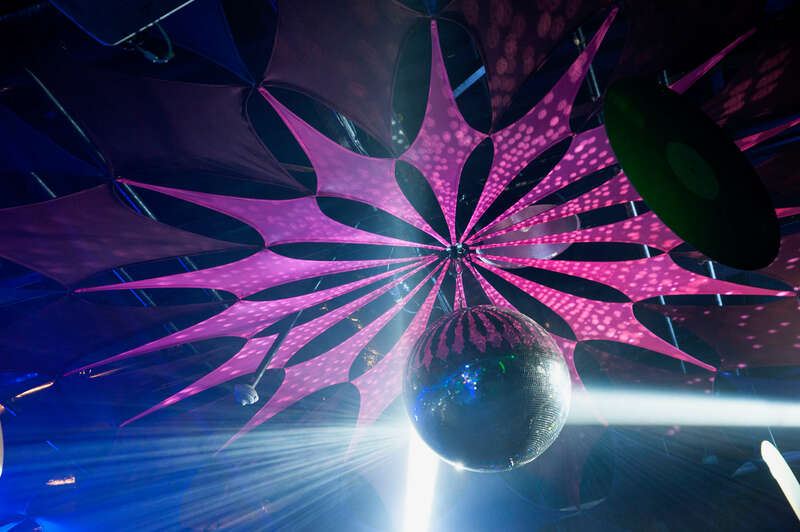 Want a mirror ball and your venue have nowhere to hang one? Not a problem. We now stock curved glitterball brackets whcih can go on white stands to blend in with your venue. They have built-in motors which rotate at 1RPM per minute, great for moving effects. We can also supply the white pin spots which are battery powered and magnetic, they literally stick to anything magnetic.